The Viper Island was used by the British to imprison convicts before the cellular jail was constructed. Remains of the old jail and the gallows built by the British in 1867 are still visible on top of a hillock, which offers breathtaking views of the sea and other islands.The island got its name from a British ship by the same name that was wrecked nearby. These islands are part of the Mahatma GandhiPark. Clean sands and swimming pools are their speciality. The water is so transparent that one can clearly view the coral reefs under them. Lots of fish with variegated colours swim across in shoals in a friendly manner. One can also observe the life style of deep sea creatures. An ideal resort for tourists to unwind and enjoy. The place is filled with peace and serenity. It is about a half-day trip. One needs to take food and water along. One has to travel about from Port Blair by road to Wandoor. From there it will take a half-an-hour ferry service to reach these islands. Arrival at Port Blair Airport. transfer to Hotel. Morning at leisure. Evening trip to Carbyn's Cove Beach and return to Hotel after Light and sound show at Cellular Jail. Early morning trip to Havelock Island. Check-in at the Hotel. A trip to Radhanagar Beach. Overnight at Havelock. Proceed to Baratang Island. After visiting the lime stone Caves ~ a natural wonder, Check in at the Dew Dale Resorts at Baratang. Evening trip to mud volcano site and beach. Just before sunset a trip to the Parrot Island will be arranged. Return back to Resort for overnight stay. Return back to Port Blair. ( Jolly Bouy optional). Overnight stay in Port Blair Hotel. Cost has been revised w.e.f. 23rd. Jan. 2009 due to Hotel rates fluctuations. However quotes sent before today will be honored. Rates are per couple for AC Accommodation on Twin sharing (Room plus buffet breakfast plan) basis subject oa availability or similar base don early booking, Arrival / Departure transfers, Welcome drink, All Transfers, All Sightseeing as per respective Itinerary, All Entrance fees and all taxes. Transport by non- AC OMNI van, AC/NAC TATA Sumo or equivalent. - Use of hotel rooms before/after normal check in/out times (12 Noon). - Personal expenses such as telephone calls, dry cleaning, mini bar purchases etc. - Extra Meals not indicated in the package. - Any Optional Tours other than mentioned in respective packages. - Any other items or services not listed in the itinerary. Note: Costs quoted are subject to availability and confirmation of accommodations and services as listed based on our terms and conditions web page. Costs maybe subject to change due to Hotel Tariff fluctuations, government tax increases or any new taxes addition. - Tours are subject to weather conditions. - Best period is from Oct till May. - rates valid till 30th. March 2009 except during festival, x-mas and new year Periods. Day 1: Arrival at Port Blair airport. Transfer to Hotel, morning at leisure. Evening trip to Carbyn's cove Beach and return to Hotel after the Light & sound show at Cellular Jail for overnight stay. Day 2: Early morning trip to Havelock Island, Check in at the Hotel. A trip to the Radha nagar Beach. Overnight at Havelock. Day 3: Full Day leisure at Havelock. Day 5: Proceed to Baratang Island and Check in at Dew Dale resort at Baratang. After lunch visit to mud volcano site, Baludera Beach and evening just before sunset a visit to Parrot Island. Return back to the Resort for overnight stay. Day 6: Morning after Breakfast visit to Lime stone Caves ~ a natural wonder and return to Resort in Baratang Island. Day 7: Full day at leisure in Baratang Island. Day 8: Return to Port Blair from Baratang. Overnight at Port Blair Hotel. Day 9: Full day Excursion to Jolly Bouy Island and return back to Hotel. Day 10: Drop back to Airport to catch onward connections. Rates are per couple for AC Accommodation on Twin sharing (Room plus buffet breakfast plan) basis in stated hotels or similar subject to early booking and or availability, Arr./ Dep. transfers, Welcome drink, All Transfers, All Sightseeing as per respective Itinerary, All Entrance fees and all taxes. Arrival at Port Blair. Depart from Airport & transfer to Hotel. After getting freshen up visit to all Museums and reach back to Hotel for Lunch. Lunch at Hotel and afternoon visit to Cellular Jail, Carbyn’s Cove Beach and back to Hotel at Port Blair. After Breakfast Harbour Cruising with three islands, Ross, Viper & North Bay, evening light & sound show at Cellular Jail. Rates are per person for AC Accommodation on Twin sharing (room plus buffet breakfast basis) in stated hotels or similar subject to availability, Arr./ Dep. transfer , Welcome drink , All Transfers, All Sightseeing as per Itinerary, All Entrance fees and all taxes. -Use of hotel rooms before/after normal check in/out times. -Personal expenses such as telephone calls, dry cleaning, mini bar purchases, etc. -Meals not indicated in the package. -Any other items or services not listed in the itinerary. increases, or any new taxes. ~ Tours are subject to weather conditions. This package is a 3N / 4D package. It consists of visit to all Museums, Carbyn's Cove Beach, Light and sound show at Cellular jail, a trip to Jolly Bouy ~ a coral island near Port Blair and a same day return trip to Havelock Island. Arrival at Port Blair. Depart from Airport & transfer to Hotel. After getting freshen up visit to all Museums and reach back to Hotel for Lunch. Lunch at Hotel and afternoon visit to Cellular Jail, Carbyn’s Cove Beach, light & sound show at Cellular jail and back to Hotel. Overnight at Hotel in Port Blair. Full day trip to Jolly Bouy Island, En route visit to Sippighat Agriculture farm. Reach back to Hotel by 5.00 Pm. Evening at Leisure and Overnight at Hotel in Port Blair. Early morning start for a full day trip to Havelock Island ~ Radhanagar Beach and evening return to Port Blair. Overnight at hotel in Port Blair. ~Costs quoted are subject to availability and confirmation of accommodations and services as listed. Costs maybe subject to change due to Hotel Tariff fluctuations, government tax increases, or any new taxes. ~Tours are subject to weather conditions. This package is a 3N / 4D package. It consists of visit to all Museums, Carbynes Cove Beach, Light and sound show at Cellular jail, a trip to Jolly Bouy ~ a coral island near Port Blair and a 1 Night trip to the famous Baratang Island ~ the land of natural wonders. Arrival at Port Blair. Depart from Airport & transfer to Hotel. After getting freshen up visit to all museums. Lunch at Hotel and afternoon visit to Cellular Jail, Carbyn’s Cove Beach and after light and sound show at Cellular Jail drop back to Hotel in Port Blair. Early Morning at Proceed to Baratang Island, Visit Lime stone Cave, Mud Volcano site and check in at Dew Dale Resorts at Baratang. Evening just before sunset a trip to Parrot Island ~ for a mesmerizing view of thousands of Parrots returning their Home. Overnight at Resort in Baratang. Start early morning from Baratang for a full day trip to Jolly Bouy Island, en route visit to Sippighat farm if time permits. Reach back to Hotel in Port Blair and overnight at Port Blair. Rates are per person for AC Accommodation on Twin sharing (room plus buffet breakfast basis) in stated hotels or similar subject to availability and or early booking, Arr./ Dep. transfer , Welcome drink , All Transfers, All Sightseeing as per Itinerary, All Entrance fees and all taxes. - Use of hotel rooms before/after normal check in/out times. - Personal expenses such as telephone calls, dry cleaning, mini bar purchases, etc. - Meals not indicated in the package. ~ Costs quoted are subject to availability and confirmation of accommodations and services as listed. Costs maybe subject to change due to Hotel Tariff fluctuations, government tax increases, or any new taxes. 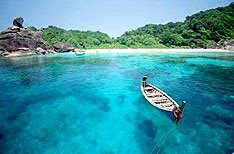 The Andaman & Nicobar Islands have a few good Hotels and among them we recommend the following. Please note that a higher classification does not necessarily mean a better hotel. Grading is based on facilities and does not take into account character, location and service. We offer our opinion regarding the classification of the below mentioned Hotels. 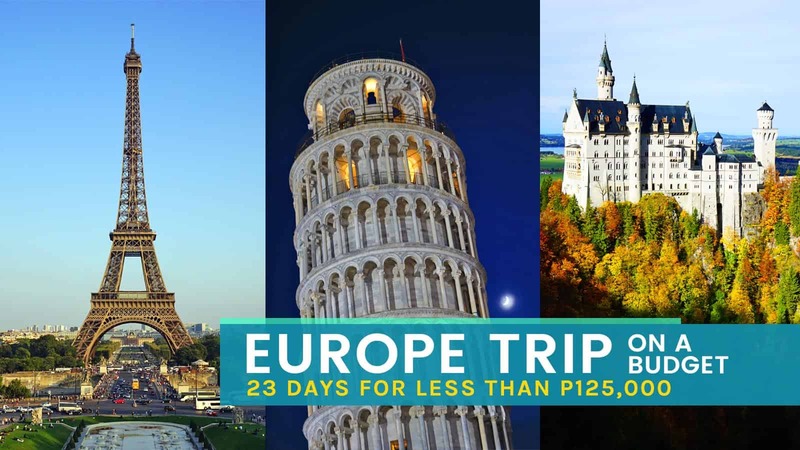 For booking any of the above package, please send us passengers full names and deposit 25% on account of tour package availability advance into following bank account under information to us. In case on your provided dates the accommodation are not available then you have option to change dates and ask us to check availability. In case accommodation are not available and you wish to cancel availability check after meeting 25% on account payment then we will refund the advance amount minus deducting Rs. 200/- towards file charges into your provided bank account details. A unique facility for tourists has come up with the 240 meters long Mangrove canopy walk at Baratang Island. The canopy walk is a long wooden structure raised to the height of one to two meters and passes through thick mangrove forests on each side. Display boards are also placed along the walkway which serves as an open mangrove interpretation centre. These boards provide detailed information about mangrove forests and its importance in the protection and conservation of the coastal areas. One can take a cruise along the creeks of Baratang and enjoy the breathtaking scenery, the mangroves, do some interesting bird-watching and sight some wildlife if lucky enough. The habitat preferences of 30 species of forest birds were studied in Baratang Island in the Andaman's, India. The relationship between habitat preferences and large-scale patterns, such as biogeographical distribution of each species on the continent of Asia and distributional status within the Andaman Islands was analyzed. The birds fell into five categories, those found predominantly in only one habitat type, evergreen or deciduous forest, and those which used a broader range of habitats, which were classified on the basis of their relative occurrence in each habitat type as semi-evergreen, moist deciduous or generalist species. The habitat preferences of these 30 species showed no association with either the biogeographical distribution or with status, suggesting that large-scale distributional patterns are not related to habitat preferences. Bird watching is a family sport, which you can enjoy with your whole family and introduce the small children also about the surprise that nature has in stored. Bird Watching can easily be called a community activity, a social activity. Still, if you like to explore nature alone then so be it. Its a pleasure in going out alone for bird watching too, it brings out a feeling of solitude. Even if bird watching is a new activity on the Indian adventure sports circuit still the popularity rate of this activity is catching up with the sports enthusiast of almost every age group. One can go trekking through the nature trail from many locations and enjoy the rare forest life, flora and fauna. Island camps are just the right choice for the nature-lovers, who wish to enjoy sun, sea and the pristine beauty of nature by spending quiet holidays right on the beach. 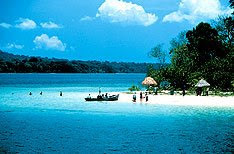 One can enjoy the unexplored beaches of Havelock, Baratang island and surroundings. One can enjoy the under-water marine life and view the rarest varieties of corals by snorkeling on all days from dawn to dusk depending on weather. Andaman waters offer a fascinating world of under-water marine life, varieties of colourful fishes, rarest of the coral reefs in the world, mysterious remains of sunken ships etc. All these can be explored through Scuba Diving.